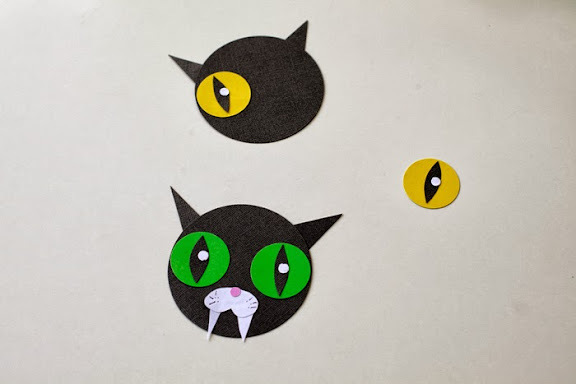 Meowrrr! 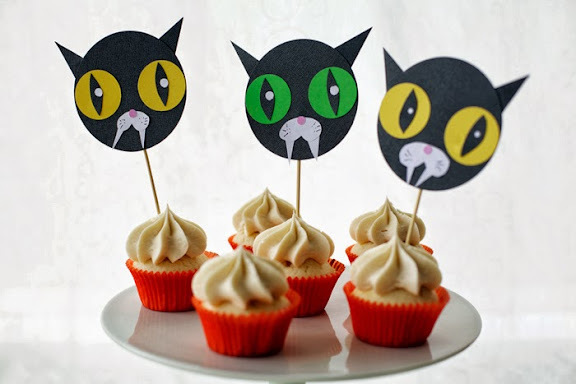 These scaredy cat cake toppers are simple to make and super cute, too – and they will instantly Halloween-ize your cupcakes or cake. 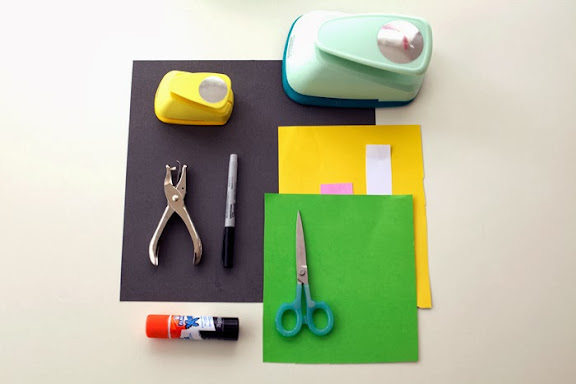 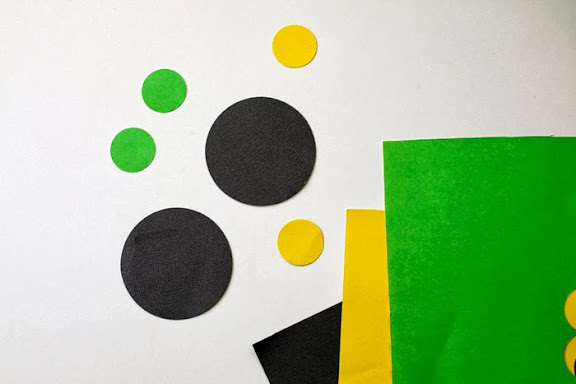 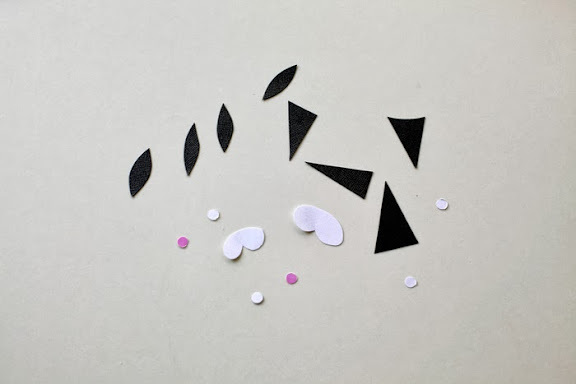 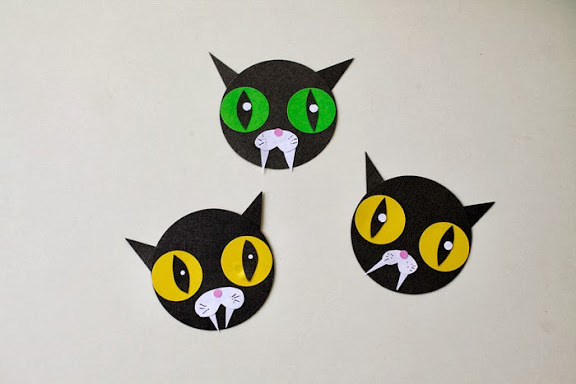 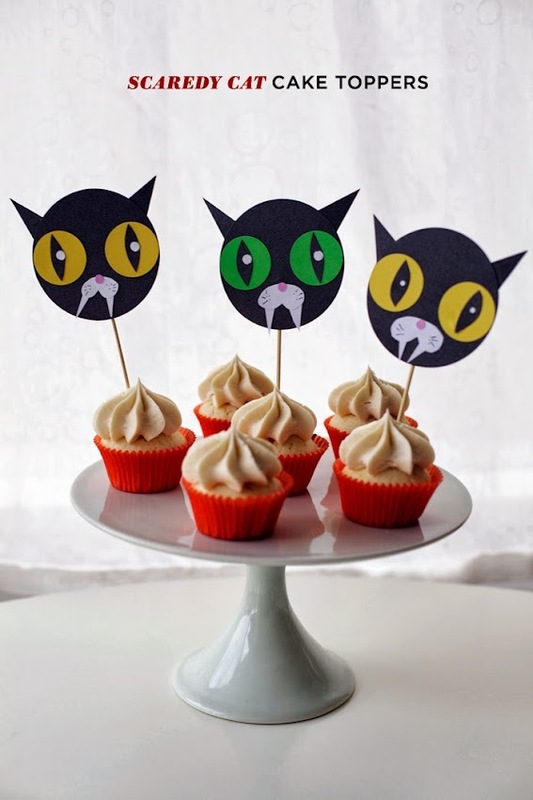 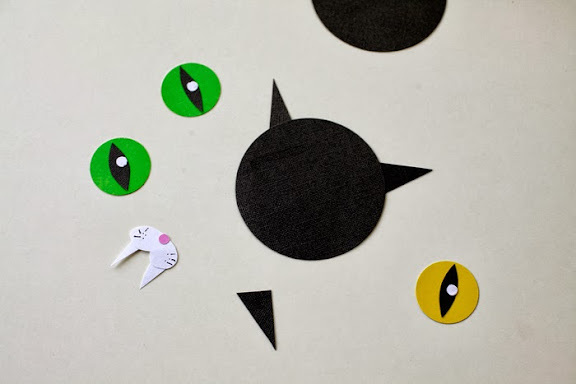 Bake some cupcakes in orange liners, or plunk one of these cat toppers in a simple store bought cake and your Halloween party is all set in the blink of a cat’s eye.